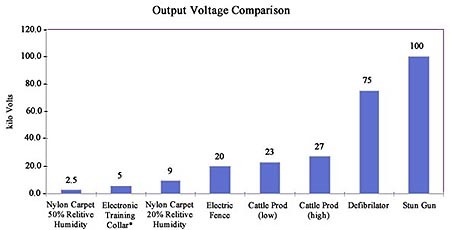 During the month of June, 1998 this company surveyed 1,025 dog owners that had been using one of three types of electronic training equipment (remote training collar, bark control collar or containment system) for a period of not less than 90 days. The results are staggering. Slightly over 83% (860 of 1,025 dog owners) responded that their dogs overall behavior had in fact improved since using the electronic equipment. We still don't have all the facts in about electronic training equipment. But as you can see, the results so far are encouraging. Use the PetSafe Citronella Refill to add a new fragrance to your dogs barking or training collar. The spray will not harm your pet but will startle him causing him to cease his barking. Petsafe Pet Containment Systems provide your pet with freedom and safety while costing thousands less than conventional fencing. It's quick and easy to install, safe, and with proper training, a very effective containment solution.